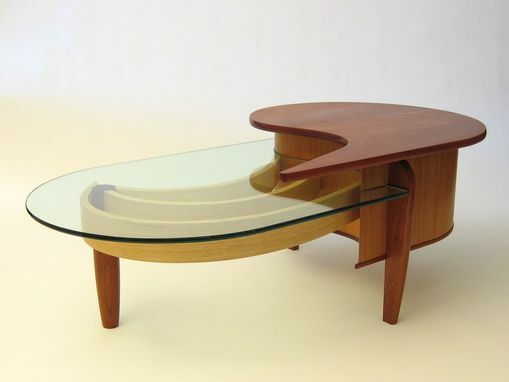 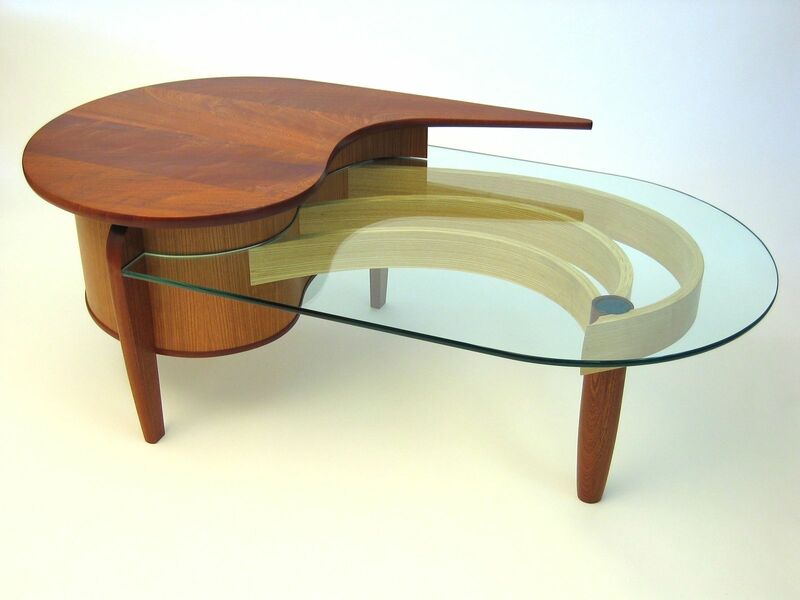 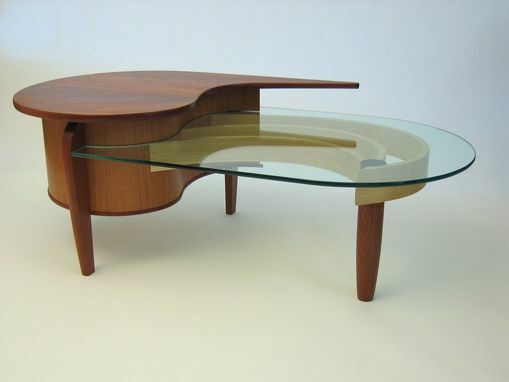 This coffee table would look good in your mid-century living room. 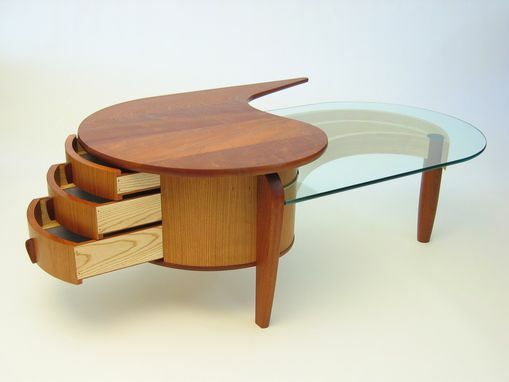 It features three drawers and is made of vacuum formed plywood with quarter-sawn cherry veneer over. 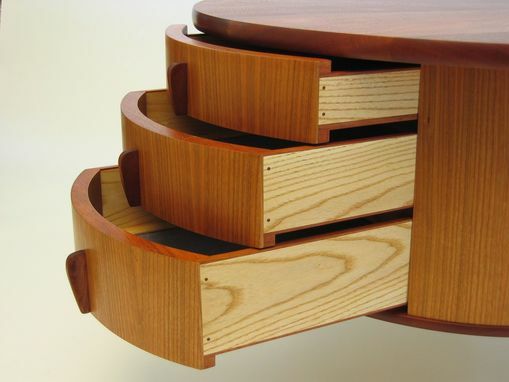 The top and legs are sapele, the drawer's secondary woods are ash and jatoba. 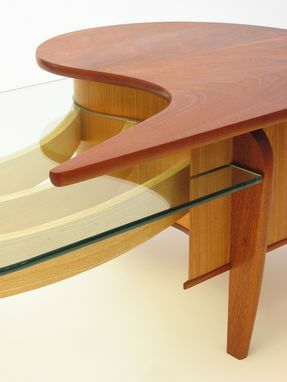 The curved pieces under the glass are bent lamination ash. 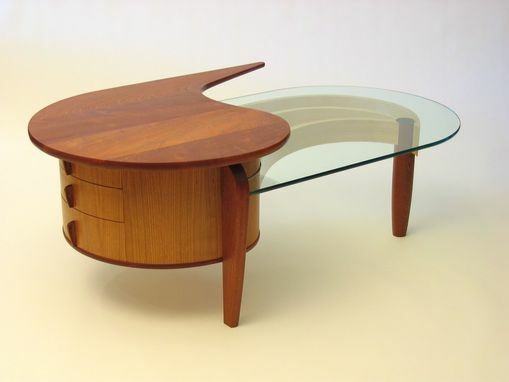 Also, a small piece of fused glass on the top of the round leg adds a splash of color.